Open House Saturday April 5 from 11 am -1 pm! !This house has it all! 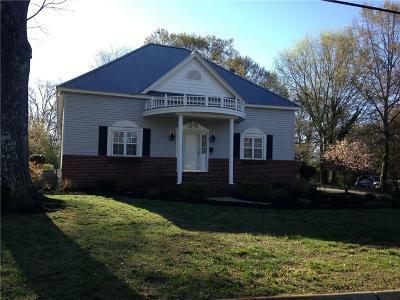 Southern Charm and completely remodeled with new kitchen and baths, stainless appliances, hardwood floors, new carpet and fresh paint, new hot water heater. There are lots of custom built bookcases and cabinets for all of your books and collectibles you can enjoy while sitting in front of the fireplace . There are 4 large bedrooms, the 4th bedroom is in the front of the house and could also make an amazing formal dining room. The master suite has a full bath and walkin closet. There is a jacuzzi sun porch off of the master to relax and unwind. The outdoors can be enjoyed on the front porch, the back screened porch, the large deck or simply under an oak or pecan tree. The inground sprinkler system is programmable to make your gardening chores a breeze! The large parking area is great for outdoor activities and parking. Fido will be happy in the large fenced back yard that is partly shaded. One of the best features this house has to offer is the 860 sq ft heated and cooled bonus room in the back. It has its own bathroom and separate entrance. If you prefer a garage, it would not take much to convert to a large garage and workshop as it was built with that in the plans. This is a great school district and a very quiet and sought after area of Easley. You really have to see this one!